John Wain was born in 1925 in Stoke-on-Trent, Staffordshire. He attended St John’s College, Oxford, earning a BA in 1946 and an MA in 1950. A prolific author and man of letters, Wain wrote poetry, novels, criticism, and biographies during a writing career that spanned more than forty years. He started out teaching at the University of Reading, but in 1953 left to pursue writing full-time. 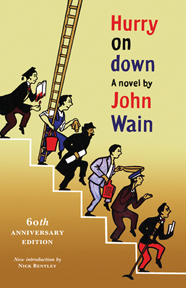 Wain’s first novel, Hurry on Down (1953; published in the United States as Born in Captivity) was a bestseller and launched Wain’s career as a novelist. The book ran into several hardcover printings and was often reprinted as a Penguin paperback; it is credited with paving the way for later British classics of the 1950s, including Kingsley Amis’s Lucky Jim (1954) and John Braine’s Room at the Top (1957). 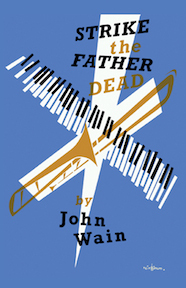 Wain followed his first novel with a number of other novels and short story collections, including Living in the Present (1955), The Contenders (1958), A Travelling Woman (1959), Strike the Father Dead (1962), The Young Visitors (1965), Nuncle, and Other Stories (1965), and Death of the Hind Legs and Other Stories (1966). 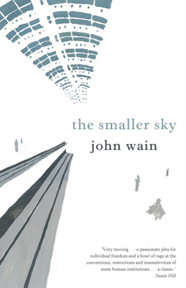 A number of contemporary critics felt some of these works represented a falling-off from Wain’s successful debut novel, but his next novel, The Smaller Sky (1967), was well received, and is arguably Wain’s masterpiece. The Smaller Sky (forthcoming in a new edition from Valancourt Books) tells the story of a man overwhelmed by the stresses of his life, who seeks refuge beneath the ‘smaller sky’ of Paddington rail station. 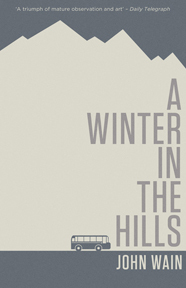 Among his later fiction, A Winter in the Hills (1970) and Young Shoulders (1982) were particularly well regarded; the latter novel won the Whitbread Award. In 1973, Wain was appointed the first Professor of Poetry at Oxford University, and the following year his biography of Samuel Johnson won the James Tait Black Memorial Prize. His services to literature were recognized in 1984 when he was awarded a CBE. 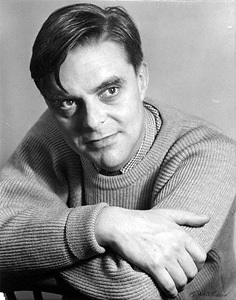 In the late 1980s, he began his ‘Oxford Trilogy’ with Where the Rivers Meet (1988), and the final volume, Hungry Generations, was published shortly after his death in 1994.